Lent was a difficult time this year. More difficult than usual. I spent much of it dealing with further fallout from the divorce, namely the issue of what am I to do when my ex and daughter move 600 miles away, the issue of how I’m to remain a good father, the issue of how I’m to embody and practice that what I preach even in the face of immense frustration. In all frustrations–not just the divorce fallout, but even the daily vicissitudes of life–I continue to be faced with the reality that I am still in recovery. I never react as graciously as I want to. I never meet adversity with the beatific patience that I wrongly imagine myself embodying. As much as I want to be entirely sanctified I’m not yet, and acknowledging that is in and of itself yet another source of frustration. But all this is supposed to have evaporated at the empty tomb, right? Easter was supposed to fix all of this and I should be singing Gaither songs and eating my weight in Starburst jellybeans and laughing in the face of Satan right now…right? Then why is life still hard? 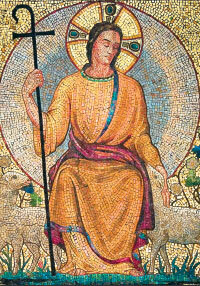 The challenge of Easter is balancing the fact that Christ is risen from the dead with the seemingly contradictory fact that I–that is, all of us–still live in a world that is full of doubts and subtly simmering anger and laziness and causes for being pissed off, many of which a self inflicted. This time is when the apostles were wrestling with the fact that Christ had risen from the dead, a celebratory time indeed but a time when much of what they knew about the world had been pulled out from under them. And this is the challenge that everyone who encounters the Risen Christ has to wrestle with.